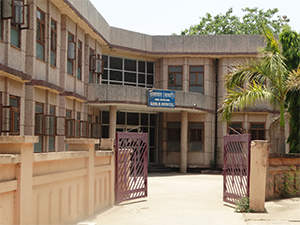 There are two hostel block in the college on the either site of the campus. All the hostel rooms are twin occupancies room with excellent boarding facilities in hygienic environment . Rooms are having toilet & bathroom in every section 6 to 7 rooms. The hostels have hot water supplies in the winter. Drinking water is also available. the student who don’t have pc’s have the option to use the computer in which a few mechanism available during the stipulated Hrs. Indore games -: Table Tennis, Carrom, Chess, Badminton etc. Outdore games -: Volleyball,Cricket, Basketball, Football. Free Consultancy on Every Thursday to the sick students by a reputed physician. A 192 Bedded Hostel for the Boys with Dinning room and Recreation room is available round the clock. Security is provided to the boys hostel with the hostel warden in the premises.